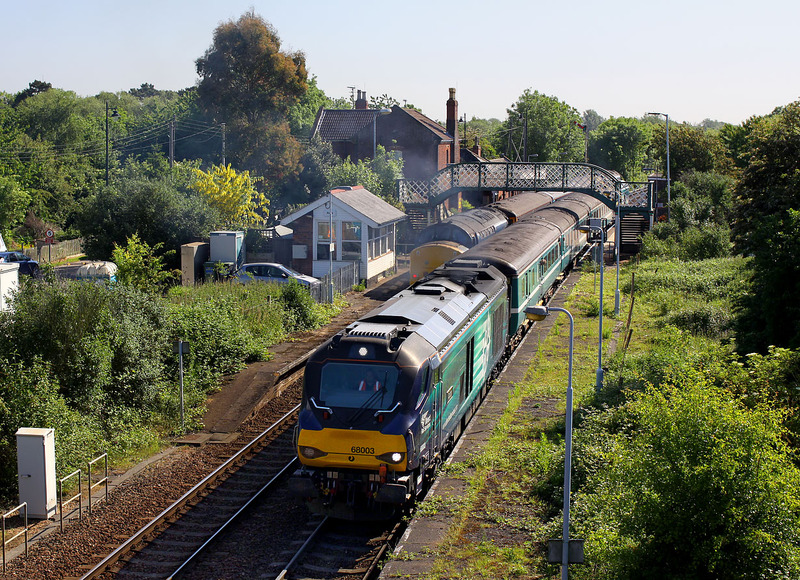 A quiet country station in Norfolk, yet even in 2017 it is possible to see a pair of loco hauled trains passing each other! There are four locos in view in this picture. 68003 Astute gets underway with the 2P11 08:46 Great Yarmouth to Norwich Greater Anglia service, with 68022 Resolution on the rear. In the other platform, 37419 Carl Haviland 1954-2012 brings up the rear of the 2P12 08:36 Norwich to Great Yarmouth, which is being led by 37405.